Many of this week’s diary entries make reference to work onboard. This week we look at the different jobs that were required to enable these ships to set sail. There were always jobs to be done, some of which were paid and others unpaid. Captain Morgan makes reference to workers who were refusing to continue with their jobs as they were not happy with the conditions and wanted to receive payment for their work. These men had agreed to contracts prior to setting sail, so were not in a position to dispute their situation. What is your opinion on this matter? What were some of the occupations of people onboard these vessels? What may have been the reasons workers absconded from a vessel? How did people gain employment on ships? What qualifications did the captain need? How do these qualifications compare to those required by ship captains and able bodied seaman today? Historical Skills and understandings Chronology, terms and concepts Explore how the concepts of occupations, discipline, paid and unpaid work have changed over time. 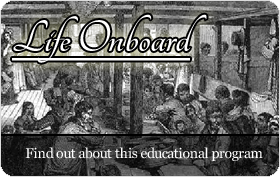 Historical questions and research How have the jobs onboard ships changed since 1836? What are the main occupations onboard the passenger ships of today? Analysis and use of sources Locate information related to inquiry questions in a range of sources. Perspectives and interpretations Identify the points of view of the captain and workers when there was a dispute over pay and conditions. Use body language to convey a message. Identify and develop a poster that promotes emigration to South Australia, showing an understanding of the required features. Use a computer application (e.g. Microsoft Word or Publisher) to develop a promotional poster. Use email or make a telephone call to seek information from an agency that employs personnel to work on passenger ships today. 1. Read the journal entries from this week and highlight all the key words and phrases that make reference to work onboard. You will find that there is a reference made in nearly all of the entries. Use this week’s entries to write a paragraph that summarises the key points about work onboard. Select one of these jobs and research the tasks that would be done in this position. Role play these tasks and see if your classmates can work out the job you are presenting. Once they have guessed correctly, share your research findings. 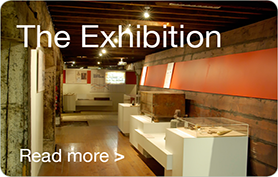 What were the other jobs onboard these vessels that were required to enable the ships to set sail? 3. What was the most important job onboard a sailing ship in the 19th century? Write a persuasive piece that convinces the reader to adopt your point of view. 4. The sailors were required to tie many different knots during the voyage. When do you think knots were required and which knots did they tie? Learn more about how to tie knots, by getting two pieces of string and following the instructions on the 'boating knots' website. 5. What type of people did the English government send to South Australia onboard these vessels? Did they want people with particular skills and knowledge? Use a computer application such as Microsoft Word or Publisher to develop a poster that advertises emigration from England to South Australia. How would you display the contents of your poster? Remember to include a title that stands out, a description of the type of person you are looking for (skills and knowledge), details about the destination (South Australia) and any other important pieces of information. What if one of the significant workers onboard was to abscond from the vessel on its voyage to South Australia? How would this affect the rest of the voyage and the other workers onboard? Once a person has committed themself to work onboard a ship, they should remain in their job until they are no longer required or for the period of time stated in the agreement made with the ship’s captain. Next week two new crew members join the John Pirie and we will look at the important roles these individuals have onboard. We will inquire into the types work people did in England during the 19th century and seek information as to how these jobs have changed with advances in technology and change in lifestyle. 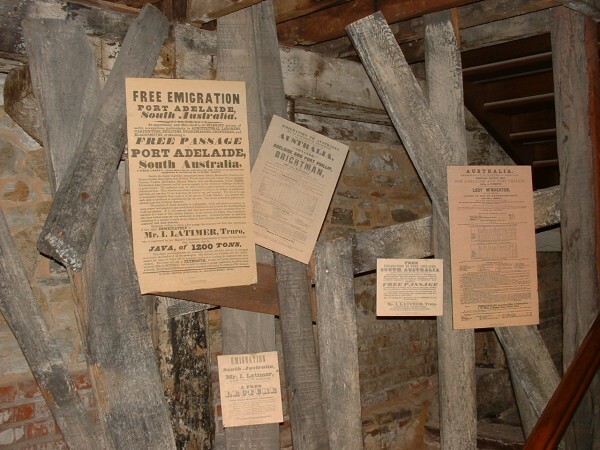 Photograph of emigration posters, courtesy of the South Australian Maritime Museum.